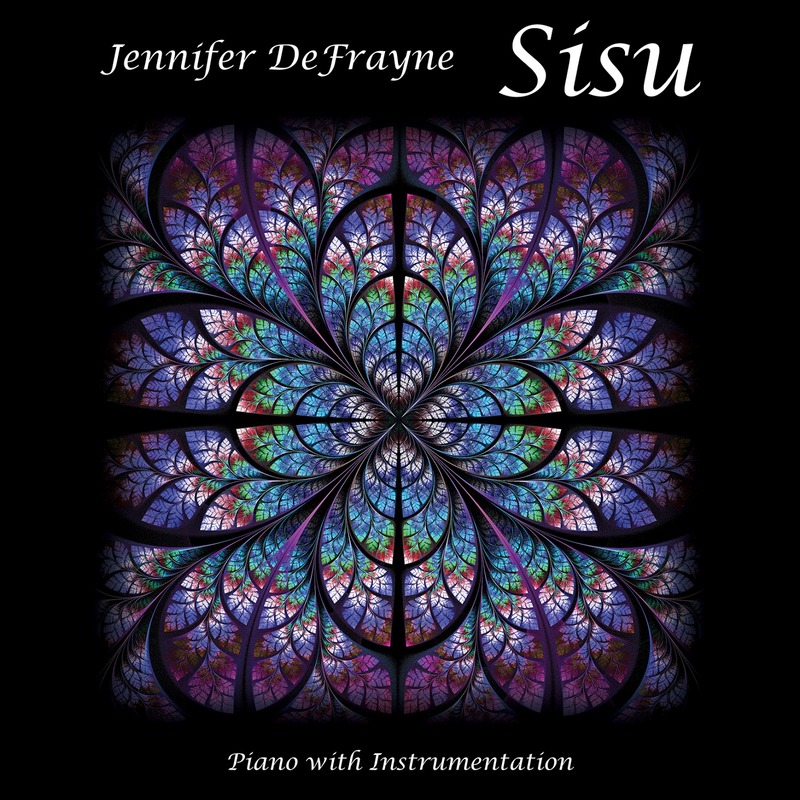 Jennifer DeFrayne’s new album Sisu is dedicated to her Finnish heritage. So, what is Sisu you may ask? Well I had the same question with immediate thoughts of what the album title meant. As defined by Wikipedia: Sisu is a Finnish word which loosely means stoic determination, grit, bravery, resilience and hardiness. It is held by Finns themselves to express their national character. It is generally considered to not have a literal translation into English. Sisu by my own definition is beauty, grace, strength, and the many colors of life intersecting within each song. 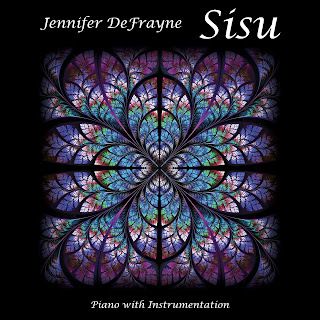 So, with great determination Ms. DeFrayne has released her second collection of tracks titled Sisu. She gets some assistance from the brightest and most talented people in the music business including Jeff Haynes, Premik Russell Tubbs, Michael Manring, Jill Haley, Sara Milonovich, Jeff Pearce, and Jeff Oster. There is a lot of instrumental piano based music that I cover hence I have concerns that eventually it will start sounding redundant. That is my biggest challenge not only as a listener but the person that needs to conceptualize and or visualize what the artist is projecting in their music. This music never allowed me to wander off course or feel there was not enough variety to keep me interested or demand my attention. Jennifer’s music uses her talents with the ivory keys as the foundation of every track and then it is accentuated by other sounds and textures to give it a worldlier crossover feel to it. The title is normally the centerpiece of the table that is set and this album is no exception. “Sisu” is bold yet tasteful like a cup of good strong coffee, the music lingers in the air once it is made and the aroma is still there afterwards. This is good way to explain what this music sounds like and how it will affect you. Jeff Oster’s horn makes the most beautiful sounds and helps to make the track “Beyond” more exceptional with his contributions. I am sure it would be wonderful with just Jennifer’s key strokes but the addition of that soothing and inviting horn gives it another layer of contrast and beauty. That is but one example of what awaits the listener that wishes to explore and experience thought provoking and relaxing music. In an artistic sense music is much like a painting in that it speaks to everyone in a different way, and everyone feels and sees something different through their own eyes and soul. Every color splashed on the canvas of the painting holds a different meaning and atmosphere. The picture comes shining brightly through the music in a shout or whisper, dependent on your mood and interpretation. As my love for music becomes more important with each passing day, I become that much more appreciative of music from albums like Sisu. My respect and gratefulness I feel for people like Jennifer DeFrayne goes beyond words. 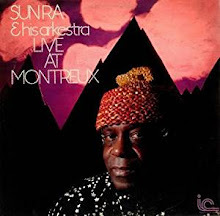 Listen to the spellbinding sounds of this album and I am sure you will agree this is one recording that will be in regular rotation in your stereo this year.